Have you ever considered your profession in a prison? Have you wondered what it’s like to be a Nurse in a prison? Perhaps you didn’t realize that prisons employ Nurses. It’s a necessity for the prisoners as they are patients with medical conditions that have been neglected for years. If you’re interested in discovering what practicing your profession in a prison is like, read this short and to-the-point article to learn a few things. Lorry Schoenly, PhD, RN, CCHP-RN, is a Nurse author and educator specializing in the field of correctional healthcare. I am an accidental correctional nurse. I never imagined I would ever spend my days behind bars in jails and prisons. After working in critical care and orthopaedic specialties as a front-line staff nurse and then as an educator, I was looking for a change. I happened upon a posting for the New Jersey Prison System a dozen years ago. My first thought was There are nurses in prison? Thus began my unexpected adventure into this hidden specialty. It turns out that my experience wasn’t all that unique. In fact, I’ve found that most correctional nurses find the specialty by accident while looking for work in more traditional settings. If you are thinking about a career behind bars, you may find some surprises. Here are five things I wish I knew before becoming a correctional nurse. I am frequently asked if it is safe to work in a jail or prison. After all, the patients are criminals, right? While this is true, the security processes in correctional facilities provide added protection for healthcare staff. There are officers assigned to protect staff in the medical unit and patients are classified as to violence potential. Many correctional nurses feel safer in this environment than working in traditional settings where security may be less vigilant. Still, correctional nurses need to be ever alert to guard their personal safety. Many prisoners have little health care prior to being incarcerated and appreciate the attention given while 'inside.' In addition, incarceration is a dehumanizing and demoralizing experience. Nurses, by profession, are patient-focused. There is an unmistakable difference in this type of interaction. Inmates feel this difference and appreciate nursing staff. No doubt about it, you see some interesting cases in corrections. Many patients have been living on the streets with untreated conditions. Infections like leprosy and tuberculosis have been noted; as has botulism from drinking tainted prison hooch. Dental conditions are common. I definitely wish there had been more about dental diseases in my nursing training! Most nurses work in settings where the goals of top management are healthcare-focused. Not so in correctional facilities. The medical unit is a support service and top management has a goal of public and personal safety. Therefore, correctional nurses sometimes need to negotiate with administration and officer peers in order to advance patient therapy. All nursing can be stressful, but I didn’t realize how stressful it can be to care for prisoners. These patients are often traumatized with histories of abuse and neglect. It is easy to absorb this stress vicariously. Compassion fatigue and general correctional stress can easily build to crippling levels, if unattended. Self-care is more important than ever as a correctional nurse. Correctional nursing is not for everyone. But many nurses find it a fulfilling and rewarding career. I hope you consider entering the specialty. 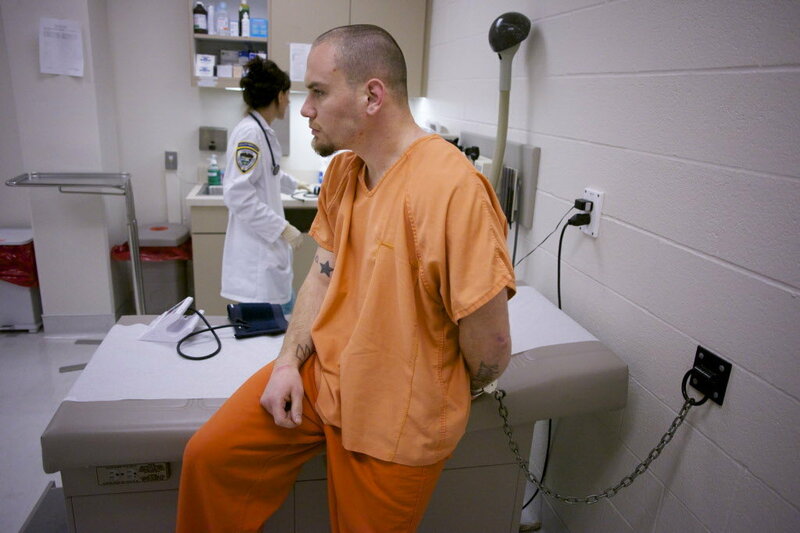 Incarcerated patients are marginalized and vulnerable. They also can be ornery and impulsive. They rarely have a history of quality health care which gives nurses an opportunity to truly make a difference in their health and well-being.